When Olivia Carter asked the 20-something students gathered in a single-file line in the William Pitt Union to step back if they’d ever “endured physical or verbal abuse due to [their] race,” the majority of them moved out of line. This “line game” was part of a larger conversation about race, identity and privilege that took place Wednesday night. The event — hosted by the Black Action Society and Asian Student Alliance — aimed at examining issues that black and Asian communities in America have in common. The activity’s goal was to demonstrate the different privileges that exist within the minority community, according to Carter, a junior sociology major and social action co-chair of Black Action Society. “There’s a lot of preconceived notions that minorities have about each other that is not addressed in mainstream conversation. When we have a chance to meet up and discuss these things, it’s valuable to get each others’ opinions,” Carter said. The event also involved a presentation that the BAS and ASA worked together to create, titled “Making Monoliths and Cultural Appropriation.” The first segment explored Asian-American history and African-American history. Event attendees then examined the earliest relations between the Asian and African-American communities, which can be traced back to the civil rights movement when Asian-Americans took part in civil rights protests and the Black Power movement. During the presentation, members of the BAS and ASA also defined terms such as racial monolithization — treating entire groups of people as if they have the same goals, wants and needs without intersecting identities, and racial and cultural identity. First-year environmental science major Kris Ramstrom acknowledged there were times when his racial identity had been assumed for him. Ramstrom isn’t the only one that expressed an instance where he was misunderstood. One student in BAS said they are always the one to raise their hand in class and say something “problematic” — or share a viewpoint about issues that the majority of students in the class might not be aware of. But the student said they have learned not to care if their opinion bothers others. “I won’t stunt my humanity for anyone, so that means don’t be afraid to be that person who does that,” the student said. Students also discussed the criteria that determine when an action constitutes cultural appropriation — the adoption of elements of one culture by members of another culture. Ramstrom said it’s possible for people to be inspired by cultures unlike their own without appropriating them. 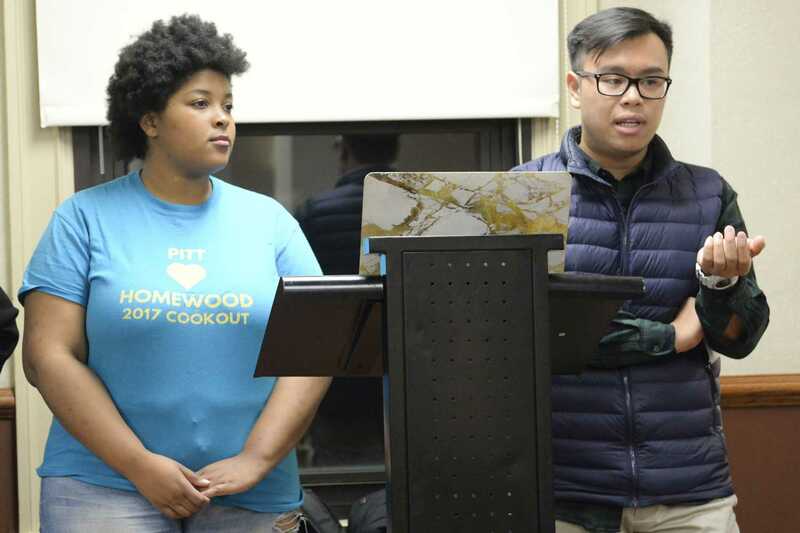 Sophomore computer science major and ASA Advocacy Chair Albert Tanjaya said groups such as ASA and BAS can be allies and help each other understand their respective race struggles by learning about the history and issues of other minorities in America. This event was the first time the BAS and ASA collaborated. Tanjaya came up with the idea for a collaboration between the ASA and BAS after being elected as the ASA advocacy chair, with the goal of reaching out to other minority groups on campus. He approached Jasmine Green, social action co-chair of the BAS, with the idea a couple of weeks ago. Ramstrom said the event was a good way for him and other members of ASA to get in touch with people of another race and culture that they didn’t know much about. “We aren’t going to get together like this all the time, but in the meantime we need to have these conversations on a microscale, one-on-one with our peers,” he said.